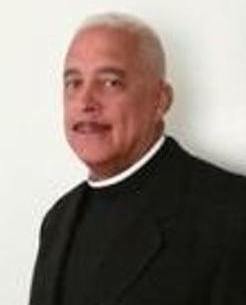 Bishop Ronald Maurice Logan is a native of Springfield, born to Maurice and Evelyn Logan. He is the husband of Monica La'Jean Stephens-Logan, father of three daughters and grandfather to three granddaughters and 2 grandsons. Bishop Logan completed two years of training in Computer Programming at Clark State College in Springfield, Ohio and received a Bachelor's Degree in Sociology from Antioch College in Yellow Springs, Ohio. He began his ministerial training at Aenon Bible College in Indianapolis Indiana where he was licensed as an elder and later received a Doctorate degree from the Apostolic University of Grace and Truth in 2003. Bishop Logan began his journey in entertainment at a young age and in 1968 becomes a founding member of a singing group, the Different Shades of Brown who signed with Motown Records. God called Bishop Logan in the midst of this career to devote his life to the Lord Jesus Christ. He served at the Church of Jesus Family Worship Center under the pastorate of Bishop Cecil A Pratt, Springfield, Ohio. During his attendance there, he served as president of the youth department, president of the ministerial alliance, administrative assistant to Bishop Pratt, and president of the pastor's aid committee. Many celebrated fathers in the gospel have also helped mentor Bishop Logan; the Right Reverend Bishop Charles Watkins, Cleveland, Ohio, the Right Reverend Bishop William Ellis, Chicago, Ill., and international Evangelist Reverend Johnny James, formerly of Detroit, Michigan. Bishop Logan served six years at Wilberforce University Cooperative Education. (1978-1983). He served twelve years at Wright Patterson Air Force Base, (1983-1995). There he was trained in Acquisition Management by the Department of Defense where he worked as an Automated Contract Manager. In January of 1991 Bishop Logan started a bible class in the home of Dr. Darryl and Mrs. Debra Mabra with two people in attendance. This bible class initiated the conception of Greater Grace Temple in September of 1991. After three years, 22 acres of land was purchased on Leffel Lane of Springfield, Ohio. Shortly after a multi-purpose worship center was built. The ministry built a worship center that has two Sunday services and 33 ministries reaching out to the community and the membership with the love and word of God, preaching that Jesus is Lord. Wednesday March 25, 2008, at the Joint College of Bishops Congress, in Cleveland, Ohio, Pastor Ronald M. Logan was consecrated to the Holy office of Bishop and received the blessedness of Apostolic Succession from the Most Reverend Jesse Delano Ellis II, the Most Reverend. 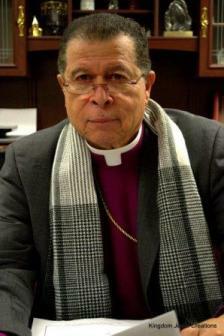 Bishop Logan now presides as Prelate of the Pneuma Life Fellowship as a pastor of pastors. A native of Springfield, Ohio, Monica L. Stephens Logan was born to Thomas and Betty Stephens. 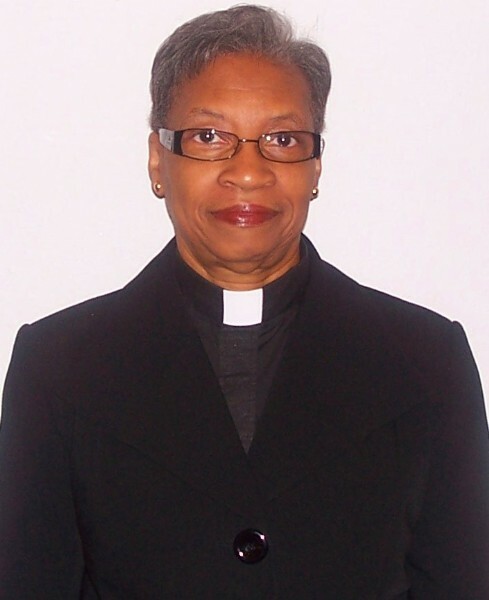 She is the wife Of Bishop Ronald Logan. Their three girls have been the source of great joy. 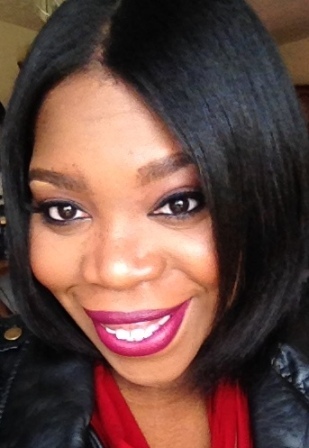 Monica's joy is praising and worshiping God through song and drama. Graduating from Wittenberg University with a degree of Bachelor of Arts, Monica feels a mandate to write plays and illustrated sermons that will challenge the mind and present good news. Her plays are full of life's experiences and tell life stories about being victorious in the mist of unfailing battles. Among the plays, she has written are, The Majority Rules: The double life of a city commissioner and her abnormal obsession with her daughter. The Redemption of Heaven: The triumphant deliverance of a prostitute named Heaven. God Loves Joey: The sad but true story of a homosexual and his love for God. In addition, Motown to Gospel: The true story of one couple's rise to fame, the hardships, and how they survived. 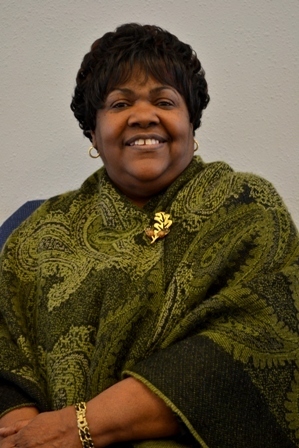 Monica L. Stephens-Logan has been a minister of God's word for most of her life. 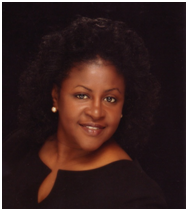 She has received her teaching and training as a license minister from her husband and pastor, and from Aenon Bible College, Indianapolis, Indiana. Her charge from the Holy Spirit is to be a lover of God's sheep, and a pioneer of the non-traditional. Logan was called to the pastorate to work alongside her husband in 2004. The vision for their work at Greater Grace Temple is to create in their membership a burning passion for God and His people. Currently mentoring small groups of women throughout the congregation, her thrust is to demonstrate the liberating power of God and share His intentions for their personal growth. As she walks in her charge, Minister Logan's desire is to unite woman everywhere and equip them with confidence so that the good work God had begun in them will be completed.